Welcome to the first official Fairy Bricks building contest in which you are invited to make a small vignette that can be a Christmas window in a UK department store. They will be displayed in a very large model of Selfridges in London's Oxford Street at Brick 2015, and show visitors will be invited to choose the best. As this is a fund raising activity, there will be a bidding process for one of the 14 entry slots, which will happen in a couple of weeks. The minimum bid is £10 (or equivalent), but there is no maximum. We will also be suggesting a donation from visitors to vote. The window vignette can can a model of a real or imagined display. I doubt the UK tradition is very different to that in international stores, but googling 'christmas windows display department stores London' will give you good examples. So, spend the next couple of weeks thinking of building ideas and what you'd be prepared to bid. We will only reveal the range of bids, so you don't need to be embarrassed if your bid is particularly large! I will further announce details for bidding in a follow up post. Prizes will be bricks rather than sets, and first prize will at least include all of the bricks (new in bags) from Town Hall, as well as any others we can get our hands on. Your Vignette should be 14 bricks wide, of which the side bricks should be a wall. The window itself is 12 bricks wide, 6 bricks high and raised 2 bricks up. The window is included in the main department store model - you don't need to include it in your vignette - the front of your vignette must be open. You'll likely need to raise your vignette a brick or two, but you could also use that space to build a fancy floor, or hide some supports etc. You should go up 7 or 8 bricks high (and there is an absolute limit of 14 bricks in height). There will be a lighting strip above the windows to illuminate the contents - if there's a reason for darkness, then you'll need to add a roof. You can make the vignette as deep as you like - for background/forced perspective etc. Just remember that the vignette will be viewed through a window 12x6 bricks raised 2 bricks up. This is a yellow minifig world - there will be crowds of yellow minifigs outside the store, so fleshie heads will generally look out of place. Not banned though, in case there is some artistic reason to include them. Not every vignette will include people or mannequins but I think it would be a good convention to have minifigs without faces if you include mannequins in your design. My stand at Brick2015 does have power provided (so that I can illuminate all the windows from above), so there might be scope for custom lighting or animation. I'll do my utmost to display each entry at its best, but I don't think I can guarantee power if it means that we need too many power adaptors or wires in the way. This is a physical building contest. 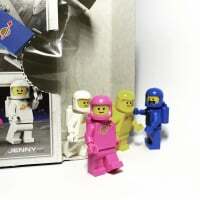 You will need to get your model to the opening of Brick 2015 in London. I'm sure the community will do all it can to pass models across, and I'm happy to do a bit of tidying up if parts fall off, but I have 50,000 bricks to build on the main model, so I'm not about to start building someone's model from LDD instructions etc. So-called illegal techniques are fine, as are your own stickers, or printed elements. I think the odd custom part isn't going to be a problem either. I will expect the winning bidders to make payment (directly to FairyBricks) as soon possible after the winning bids are announced. I may have a few people on standby to step-in if payment isn't forthcoming. Kev at Fairy Bricks has a a few ideas for further fundraising, so it would be very useful to be able to keep the entries for a while, but if you want your model returned, you'll need to make arrangements to collect it in person at the end of the show. I think it goes without saying that this is a family show and FairyBricks is a children's charity, so entries should be appropriate for kids. 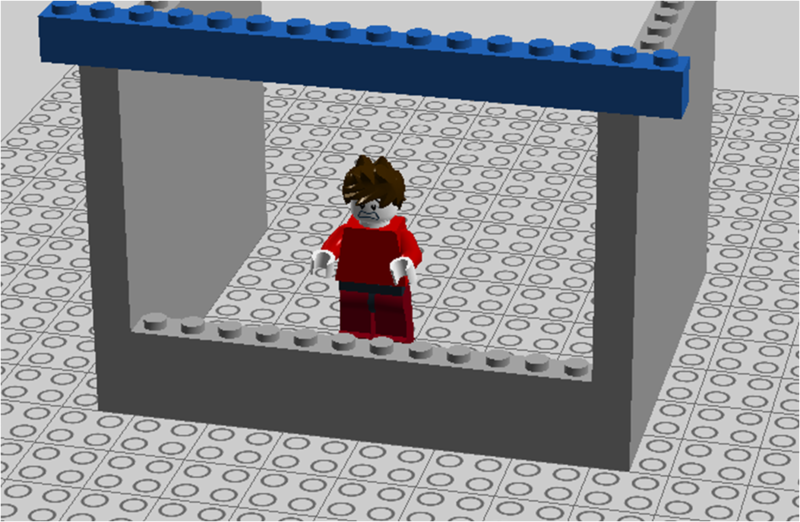 I can't imagine that anyone would build an adult themed vignette but if they do then I reserve the right to not display it (I won't be able to return your entry fee as it will already be with Fairy Bricks). I'm sure there will be questions I haven't thought of, so feel free to ask anything here. Fairy HQ are so happy about this project! Lee deserves a big hand for first up deciding to build something so beautiful and secondly for generously allowing us to be part of it. This is a great opportunity to have a model featured and viewed by at least 30,000 members of the public (based on last years attendance) so hopefully there are lots of you thinking about ideas! I will rack my brains for ideas of what I could do if I decide to bid. Ooooo nice one Lee, I like this idea a lot! I've been asked to show a little more visually what the position of the windows etc. is like. I will also answer questions that have come to me directly. A: That's fine. You will need to put in separate bids, and we'll have to make sure that we correctly identify the bids are separate in the process. If you bid twice and end up with two winning bids in the top 14, then you will need to pay for both bids and provide two models. Q: What if I win, and then have an emergency which stops me building? A: Obviously we'd prefer to have all windows filled even if Fairy Bricks would get the same amount of money. I'm happy for bids to be transferred (if there's competition to step in then please donate the extra to FB). Alternatively I plan to make a couple of simple placeholder windows (workmen decorating) just in case. Q: Is there anything else I can do to help? A: I'm sure there is, ideas welcomed. More (new) brick-based prizes will help with higher bidding entrants. Happy to answer questions here directly too. It's been put to me that we might as well start collecting bids now (extending the bidding time), rather than giving loads of time to think about things. That way we can give feedback on how the auction process is going. I can't see any reason to delay further, so I'll be posting details of how to bid tomorrow. Bidding will be open for three weeks now, instead of 2. Quite simply, once you decide that you'd like to enter, please send me an email at [email protected] with your name and the amount you'd like to bid. You can bid as many times as you like. If you bid again, then please make it clear whether that's an increase in your bid or if you are bidding for a second window. You can bid to the nearest penny, but the earliest bid received at a given amount will take precedence. Bidding will be open until Monday 2nd November, midnight, UK time, giving you just over a month to complete your models. I will share details of the ranges and numbers of bids received each week. I've added a few more WIP photos to my flickr stream too. Accepting international bids/entries? Would have to ship in time obviously. Coming from US. More prizes can only help encourage people to bid higher - that would be great. @jaitheartist I am certainly happy to take international entries, but it's certainly going to take a bit of organising. I certainly don't have time to do more than a little but of rebuilding, so packing will have to be very carefully done. Maybe you could see if a UK based forum member would accept your entry and rebuild as necessary. More prizes have been promised. From Fairy Bricks, we have the bricks from #70165 and #31035 and a selection of sealed minifig parts. More to come, as promised by Warren above. I've had the first bids in, the range is quite wide £10 to £50. And a few more WIP photos on my flickr stream. There are still 2 weeks left to enter your bid. Advantage to bidding early is that your bid counts if there are identical bids. You can send in additional bids later. I have been away on holiday this week, but have brought a big box of Lego with me to keep the building rate up (although quite a lot of this week was spent sorting 6000+ light bluish grey jumpers into the different types). There's not long to go now with the bidding. I have had currently had fewer bids than the number of Windows so there's no information to give about the minimum winning bid (it's still £10). I have had lots of interest so I am presuming that people are waiting, e-bay style, until nearly the end of the auction to bid, so that they know what they should be bidding to win. Unfortunately we are not running on some sophisticated software so it's time to go to final bids for all. I am continuing to get more leads about prizes, and I will publish information here of any that are confirmed. That may continue after bidding has closed to further incentivise amazing creations. I have extended the bidding time a little because I know that many of the likely entrants we at Brick in Birmingam, or on a Billund trip this weekend. You have until midnight GMT on Wednesday 4th November to bid, only four more days. As my moc skills are poor. If anyone would like to be sponsored to enter then drop me a PM with your idea for the vignette. I know we have some very talented builders out there and if the entry fee is stopping you then now is your chance. Time for a reminder folks that bidding closes on the windows today. Drop Lee a message to get involved. There is still plenty of time for you to actually build. We can't have a Selfridges with empty windows! I've put my bid in - if I get a space it won't be up to the standard of some others but I'll have some fun and do my best! It's just been brought to my attention that some people (@caperberry) thought you had to already have built something before you bid. That's the wrong way round. My plan was to give you all time to build once you knew you had reserved a window. So, feel free to bid now, worry about building over the next month. Any news on who's in @leemcg ? I know I'm an outside shot but need every moment to think about this one if I am building! Hi @MattsWhat and all other entrants. Sorry I've been a bit tied at work today. We had just the right number of bidders (amazing what a bit of @SirKevbags persuasion can do) so all who bid have got their windows. I'll send reminders to pay to all shortly, and let everyone know the final total from this leg of the fund raising soon (likely tomorrow now). Looks like a good start @MattsWhat - you will certainly need a back for your vignette (more important than the front, which could be completely open. Your 'cripes' has got me a little scared - I still have several thousand bricks to build on the main store! Hahaha. I should count myself lucky then! Great work everyone. Already £280 in he bag for Fairy Bricks. Let's hope that the quality of the entries encourage visitors to vote (no pressure!). I reduced the highest bid to the next highest - it didn't seem fair that a very early bidder was penalised, so the bids ranged from 10 to 30 pounds. Now time to get building! Nice one guys, can't wait to see the results! OK, so it seems I've won a window, I've just figured out thanks to some chatter in the Brickish forum. Can the vignette be built on a 16-wide baseplate, for strength, i.e. does it need to slot into a 14-wide space or is there room either side? Sorry @Huw it's clear I should have sent a direct email. Buildig on a 16 wide plate is okay - but just for strength or available plates - those bricks won't be visible. Check out the mecabricks model above which shows how it'll fit in. @leemcg if the 16 wide base is OK can we push the sidewalls out to 16 as well, just to give a littlecextra room? And assuming there's nothing at all beyond that width. The absolute maximum width for the whole thing is 16 bricks because there are some bits of detailing in the way. You could make it 14 bricks wide inside, but the corners nearest the window wouldn't be visible as the windows are only 12 bricks wide. You can go as deep as you like, certainly at least 26 bricks. I have just put the last bricks into my Selfridges model. Extremely exhausted but relieved to be done. We've got a few friends coming round this evening for an unveiling! (So many people are intrigued as they've seen bits and pieces over the last few weeks) - Champagne, sausage rolls and LEGO, what's not to like? Thanks for all the support, and looking forward to sharing the model, and seeing the windows in the coming days. Can't wait to see it Lee! I know that feeling! Posting meant I had to go simple... Or at least that's the excuse I'm sticking to! Create excuse. I have a hairy fairy delivering mine so I had to go even simpler! A great first day of showing the wonderful windows. Unfortunately two are delayed until tomorrow, but the rest have had plenty of interest - nearly 600 votes today. Still all to play for with a majority of the visitors still to come. Has anyone got some pictures? would love to see all the different windows. Here is a Flickr album with photos of each. They were just taken with my phone so I am sure there are better pictures to be had. Also two entries still to arrive. So the rumours are true - Huw's train does go round! And who did the flying reindeer, thats very cool. Yeah, Huw's micro train with power functions is really very cool...loved it! All the build were excellent, the flying reindeer from the shop window was especially good. Congratulations to everyone coming up with remarkable builds in such a short space of time. My hat goes off to you all. @DeMontes I had a suspicion it would be you. All the entries look superb. I love @DeMontes thinking outside the box/window/display and @Huw if that train moves then that is superb and would love to see a vid of it in action.